Whilst our most frequent training venue for the last two years is getting renovated, SWSR has moved our training home!! With super smooth floors and great grip the new Fresh Meat recruits and current SWS Rockettes have a new venue to train in, new training days and Times. Our venue is located conveniently right next to Minto Railway Station, so it is easily accessible by public transport. We will be holding our next Fresh meat intake throughout October until the end of November if you are keen to start playing roller derby but was unable to make our last intake.. The Crazy Skate October to November Intake is the LAST intake for the year before we get down and derby in preparation for our first big bout of 2013 in Cairns, Qld. 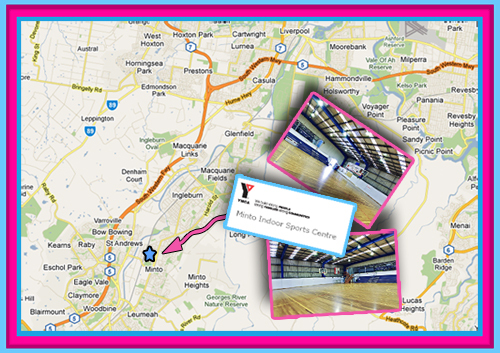 Cant wait to see you all skating at the Indoor sports complex, located at Minto (only an extra 15 minutes drive from our previous training venue at Miller).